Aiden is known for his results in skewb and square-1. He currently has the North American Record for Square-1 Average of 7.93 seconds. His best single is 6.72 seconds. His best average is 3.27 seconds. Next time you catch him at a competition with either of these events, be sure to watch! A fun fact about Aiden is that his two front teeth are half plastic due to a biking accident at 8 years old! Benjamin currently holders a ton of OR state records! He holds the record for 3x3 With Feet single and average with results of 35.25 and 46.28 respectively. He also holds the state records for Megaminx single (51.72) and average (56.85) and Square-1 single (6.33) and average (9.11). Dylan is best known for his YouTube channel, J Perm. He will often post reviews, but the main focus of his channel is concise cubing tutorials. He has tutorials, tips, and tricks for a ton of WCA puzzles! He averages just under 9 seconds in 3x3 and 35.48 seconds in 4x4. Be sure to check out his channel and subscribe if you enjoy his content! 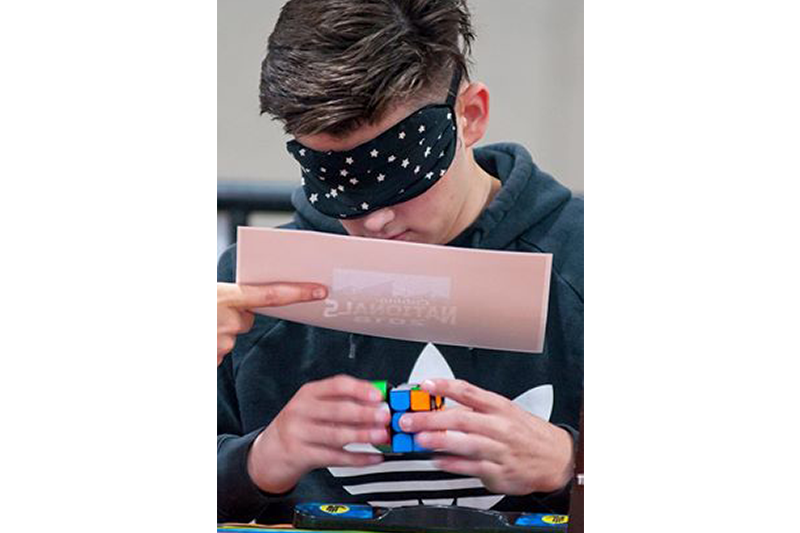 Enoch Gray is an absolute marvel when it comes to blindfolded (BLD) solving. He currently has OR state records for all BLD events. While he is incredibly fast at 3BLD, 4BLD, 5BLD, and can do around 20-25 cubes in MBLD, it isn't his official results that he is known for. 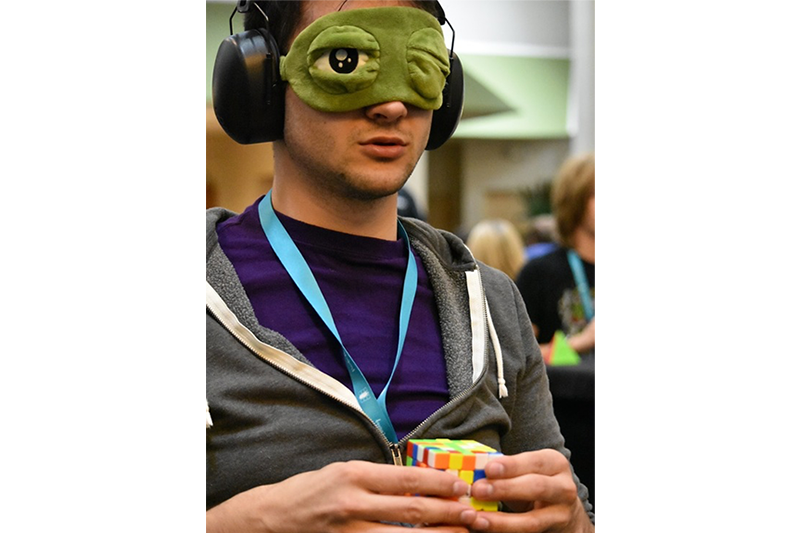 Enoch is the only person in the world to have successfully solved a 10x10 AND an 11x11 blindfolded. He is known for obscure BLD challenges such as Mini Guildford BLD, Master Pyraminx BLD, Time Machine BLD, Kilominx-Gigaminx Relay BLD, etc. He often does his attempts live on Twitch, so be sure to follow check out his stream and follow him if you enjoy what he does! He also currently holds the national record for the longest 3BLD success streak at 27 solves! At every competition, he always eats his ABCs - Almonds, Bananas, and Chocolate! 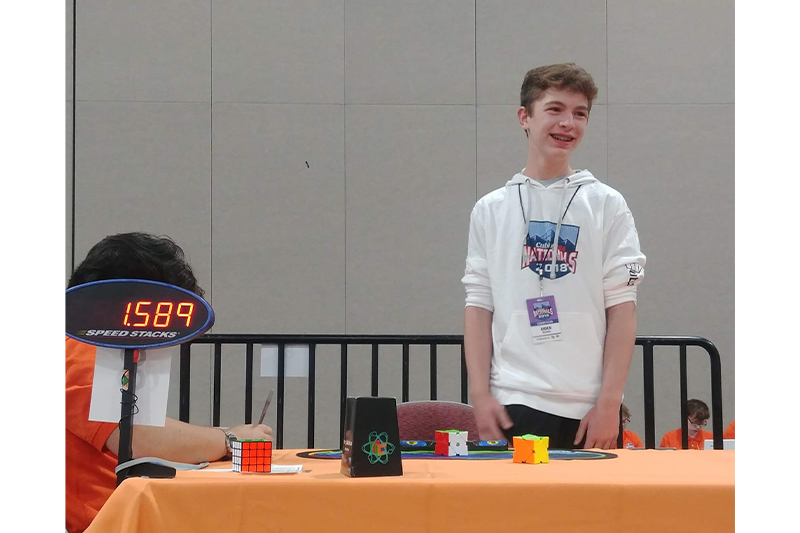 Ethan Davis is the WA state record holder for Megaminx single and average with results of 34.47 and 41.11 respectively. Ethan placed 9th in the Final round for Megaminx at US Nationals 2018 in Salt Like City, Utah. Ethan and his mom, Joylyn Davis, have put a lot into the community and are such huge helps at every competition! 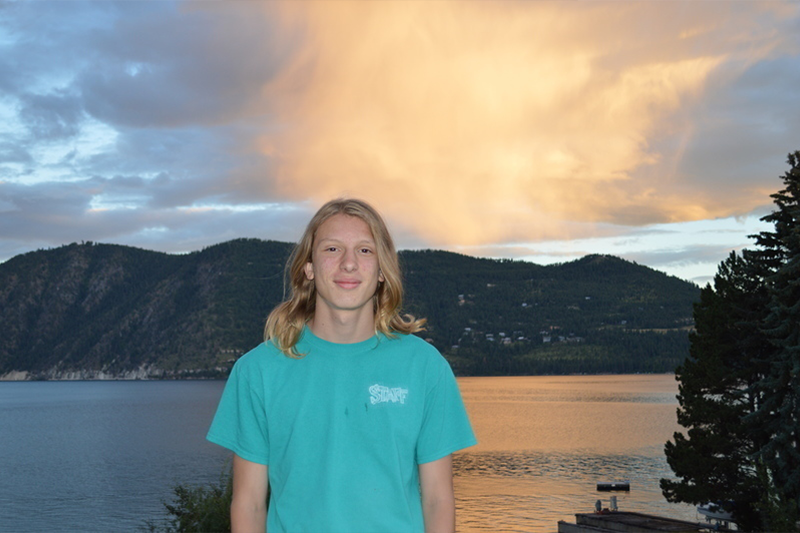 Ethan is involved with Rock Climbing and also has a black belt in Jujutsu! Gregory Martin is one of the nicest older folks you'll meet at a competition! 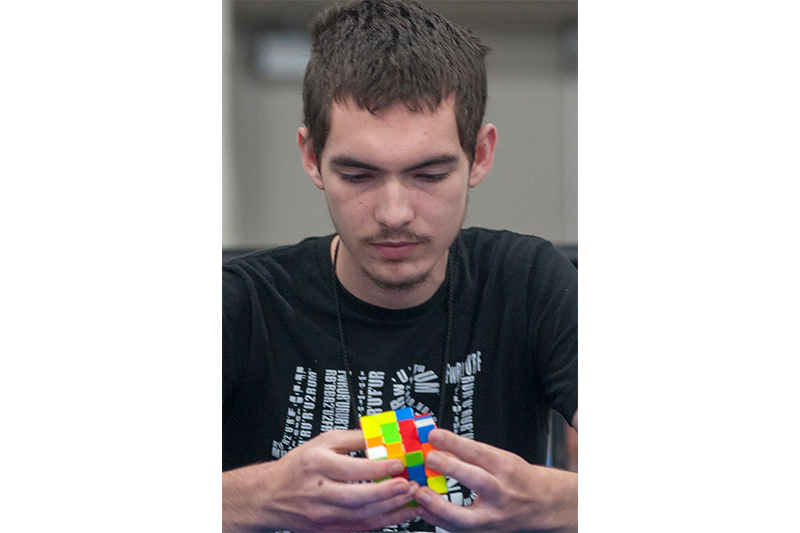 He is typically known for his YouTube videos under the name CrankyOldCuber. He is also extremely involved with Renaissance Faires and currently works at Amazon! Kevin has been cubing since 2009. Kevin is most known for his speed in 5x5, 6x6, and 7x7. 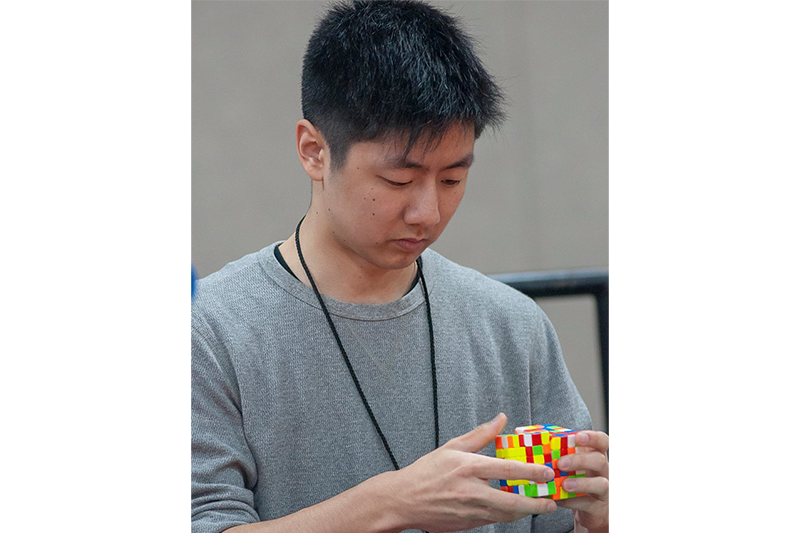 Kevin has held multiple world records and national records in those events, with his most noteable record being his 1:59.95 7x7 solve, which was the first ever official sub-2 7x7 single. Kevin also swims with the US Masters and plays competitive Super Smash Bros Melee. Kevin has been the 6x6 world champions back-to-back-to-back. One of the his most major accomplishments was holding the 6x6 WR single for 5 consecutive years. He is currently sponsored by Yuxin and even has helped create one of the best 7x7s on the market, the Hays 7. 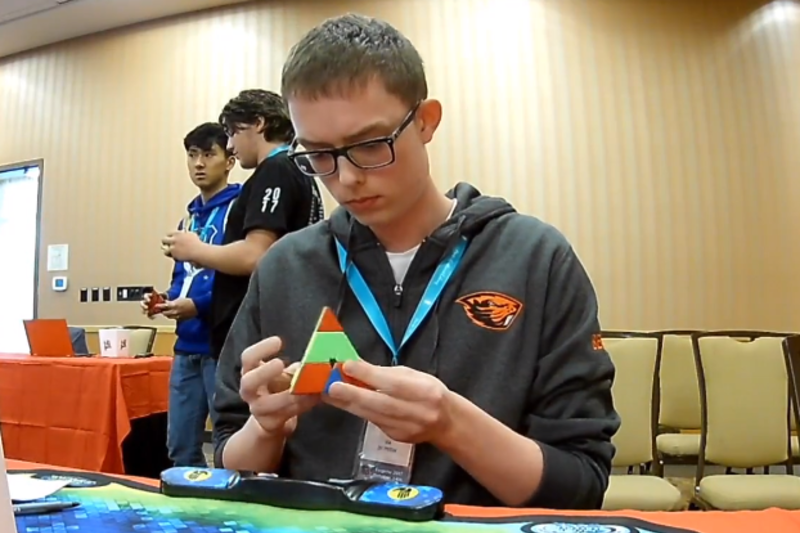 Kyle is the fastest pyraminx solver in the entire Northwest! 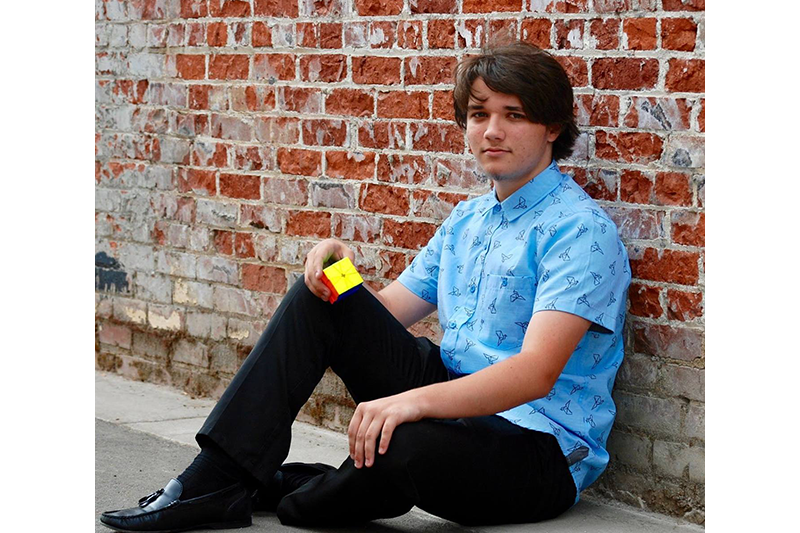 He averages around 3.5 seconds and has a single of 1.80 that he got at SacCubing III 2018. 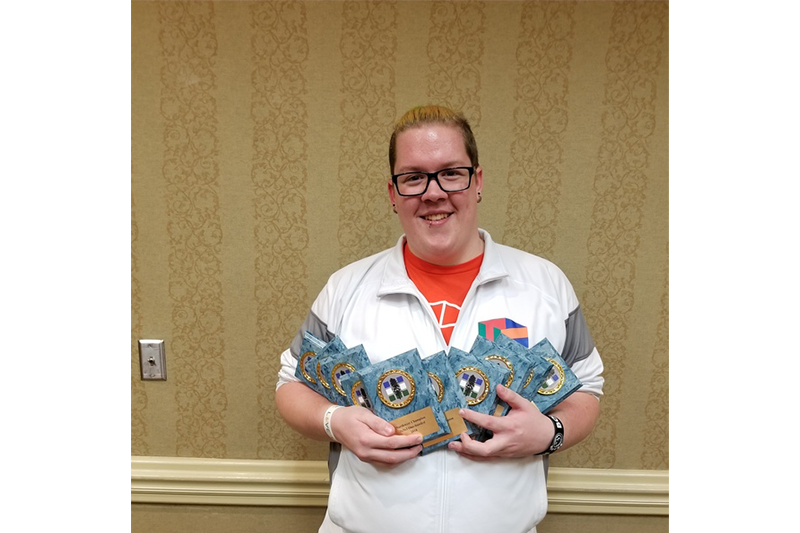 He represented the Northwest in the final round of pyraminx at US Nationals 2018 and ended up placing 9th with an average of 3.92! In his free time, Kyle likes to read and learn foreign languages! Kyle has also traveled to 21 different countries and has competed all over the world! Lauren Clement is all about data. The majority of the competitions she attends, she will be at the data entry table working there the entire day. She has even dealt with data entry at much larger competitions such as US Nationals, which have hundreds of thousands of scorecards! Her and her husband, Kit, were recently featured in a documentary by Chris Olson called "Why We Cube." Lauren has attended over 80 competitions all over the country and has been a huge part of any community she has been in! Check out this incredible proposal in which Kit proposes to Lauren! Luke is one of the fastest cubers in the entire Northwest. Luke currently has the WA state record for 3x3 single/average and 4x4 average. He averages 7 seconds in 3x3 and 28 seconds in 4x4. He is ranked second in 4x4 single, 5x5 single/average, 6x6 single/average, and 7x7 single/average in the state of Washington. Along with his speed, he has experience organizing as he has helped organize all of the Atomic Cubing competitions in Richland, WA. You'll be able to point out Luke from any crowd with his colored hair! Luke is currently sponsored by TheCubicle! 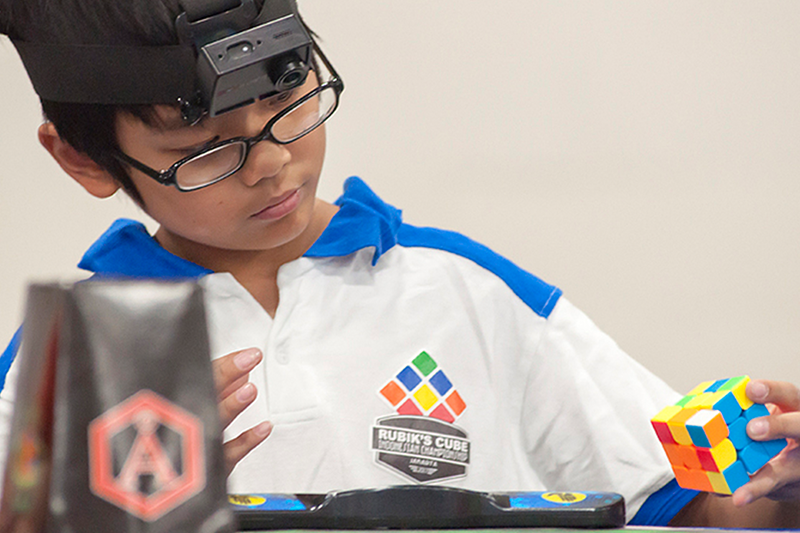 Max started cubing in 2015. His first 3BLD success was over minutes. 1 year later, he was averaging around 28 seconds. The speed at which Max has improved his 3BLD times is extremely impressive. Max has set a few world records, with his first record being a success of 17.87 at Texas BLD Showdown 2017. Since then, he's been battling against Jeff Park for the world record single/mean. Just recently, he got a World Record mean of 20.29 seconds! Thankfully, many PNW competitions have 3BLD due to it being a very popular event up here! For someone of his speed, Max has a very impressive success rate in 3BLD. 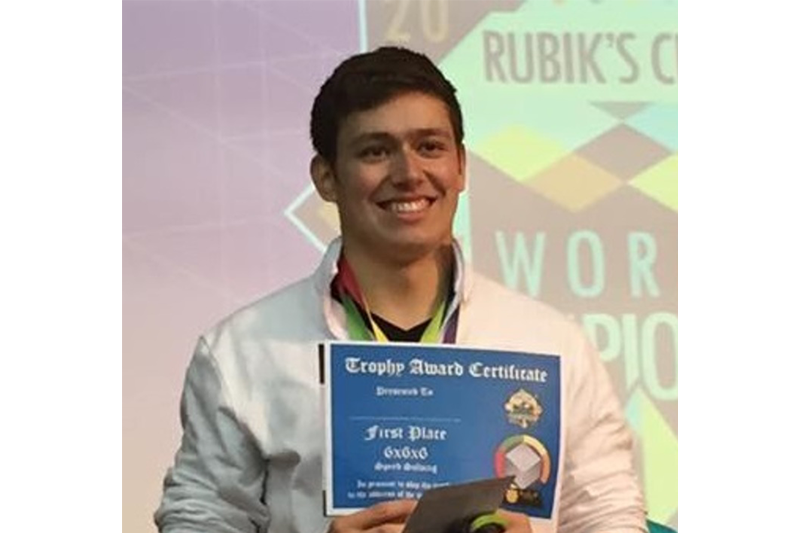 Max Siauw is one of the fastest cubers to have begun competing in 2017. Max averages an astonishing 7.69 seconds, putting him second in the state of Washington. Max is also placed 3rd in Washington for 4x4, 5x5, 6x6, and 7x7. Just recently, he got his first official sub-30 4x4 average as well as his first sub-3 7x7 solve in the same competition! He also just recently got the WA State record for 3x3 with Feet Average! Tripp currently holds the OR state record for Pyraminx average with a time of 3.48. His friends refer to him as the "Pyra God." Originally from Beaverton, OR he is currently in his 2nd year studying Civil Engineering at Oregon State University. Tripp is also a huge Portland Trail Blazers fan and collects coins as another hobby! Tripp is also a Silver member, meaning he has achieved a result in everything recorded by the WCA.